Lakeshore Records will release the BIG STONE GAP – Original Motion Picture Soundtrack digitally on October 9th and on CD December 11, 2015. The album features tracks from the film curated by the film’s writer and director, Adriana Trigiani, original music by John Leventhal, and track recorded for the film by Rosanne Cash. Like the protagonist Ave Maria Mulligan, writer/director Adriana Trigiani grew up in Big Stone Gap, Virginia - an Italian growing up in the Appalachians. It was that special upbringing that allowed her a deep understanding of what those labels meant in the time and place. With this film she was able to express these lessons not only artistically, but musically as well, knowing that the sound of the region helps make BIG STONE GAP what it is. Trigiani artfully arranged original score pieces with other timeless selections, illuminating this unique perspective on the life lived in the Coal Mountains. Picturehouse presents BIG STONE GAP in select theaters October 9, 2015. 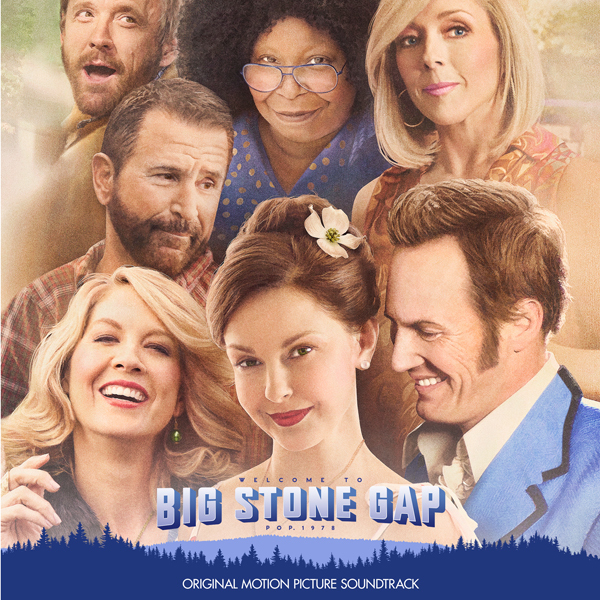 The BIG STONE GAP – Original Motion Picture Soundtrack will be available digitally on October 9th and on CD December 9, 2015.